Oklahoma patients pay one of the highest tax rates for medical marijuana in the country. As a result, the state’s young medical cannabis program is already generating substantial revenue. The numbers are eye-catching. In December alone, medical cannabis sales almost topped $1 million, collecting just under $70,000 in tax revenue—not including standard sales tax. But taxes aren’t the only source of medical cannabis revenue for Oklahoma. Money generated from licensing fees has vastly exceeded tax revenue. And it’s piqued some in the industry, leading to class action lawsuits. Are high tax rates and licensing fees hurting Oklahoma’s patients and businesses? Compared to the more than 30 states with some form of legal medical cannabis, Oklahoma’s program is one of the most costly to both patients and businesses. Medical cannabis sales are taxed at 7 percent, on top of standard sales tax, which hovers around 9 percent. That means patients are paying 16 cents on the dollar when they make medicinal purchases. The only other state that comes close is Washington, which in 2016 revised its tax code to impose an excise tax of 37 percent. But at the point of sale, customers just pay standard sales tax. By contrast, some states exempt medical cannabis purchases from sales taxes. It’s important to note that Oklahoma doesn’t charge sales taxes on prescription medications. The high tax rate in Oklahoma is generating considerable revenue. 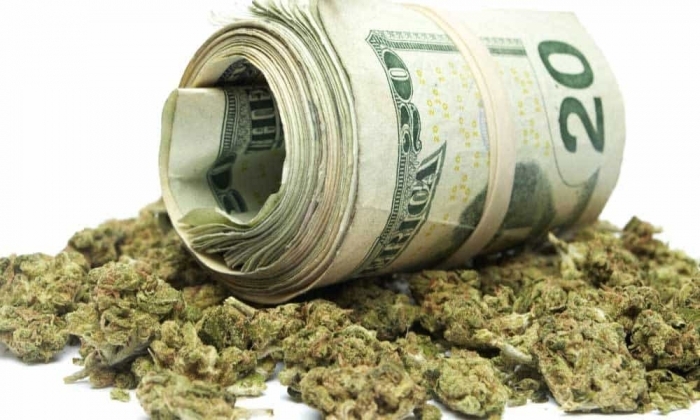 According to the AP, Oklahoma collected $69,425 on medical marijuana sales in December 2018. Midway through January, the state’s already collected more than $43,000. The data reflects the rapid growth of Oklahoma’s industry. So far, more than 30,000 patients have enrolled in the program and received their licenses, along with 900 dispensaries. With so many businesses entering the space, Oklahoma is generating way more in licensing fees than it is in taxes. The Oklahoma Medical Marijuana Authority reports that since June 2018, it’s generated more than $10 million in licensing fees. When Oklahoma voters said yes to Question 788 last June, there was little public discussion about the measure’s high tax rate. The public also didn’t have much of a debate about how taxes and fees should be spent. Critics of Oklahoma’s tax rate and licensing-fee schedule say that was the intention. They say state agencies tried to kill the industry with onerous costs. “We’re finding out more and more that there was a concerted effort by other state agencies to exert influence and control in this industry to try to kill it,” said attorney Ron Durbin back in October. Durbin is representing a Tulsa, Oklahoma, grower and a private citizen in a class action civil suit against the Oklahoma State Department of Health, the Bureau of Narcotics and the Tax Commission. Their lawsuit alleges the state agencies unlawfully collected taxes and fees from patients and businesses. Specifically, the suit claims the law does not require the $300-500 grower/processor/dispensary registration fee and the $2,500 license fee businesses have been paying. Patients also have to pay a $100 fee for their two-year medical cannabis license. Question 788 specifies a 7 percent tax. But the lawsuit says that language meant total taxes on sales, not an additional tax on top of standard sales tax. Question 788 also directs three-quarters of any funds left over from paying to regulate the medical cannabis program to a common education fund. So far, it’s unclear how much excess revenue Oklahoma has been able to generate, or where that excess has gone.